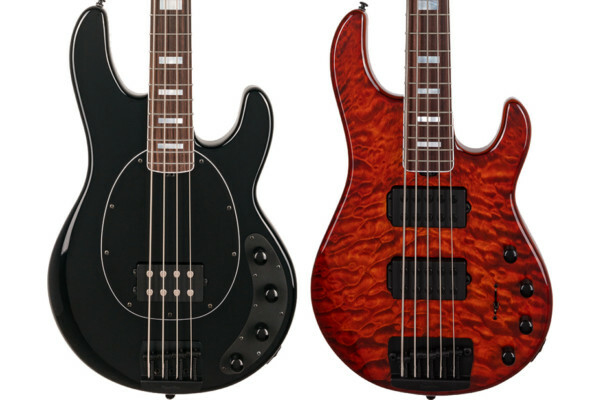 Squier announced this week that Biffy Clyro bassist James Johnston’s signature Jazz Bass would be available worldwide in 2012. First announced in Fall of 2009, the instrument has thus far only been available only in Europe. Johnston’s signature axe is based on his personal Fender USA Jazz and has a basswood body finished in Lake Placid Blue with a matching headstock. The Scottish bassist’s signature is found on the back of the headstock, while the Biffy Clyro logo is written on the front. 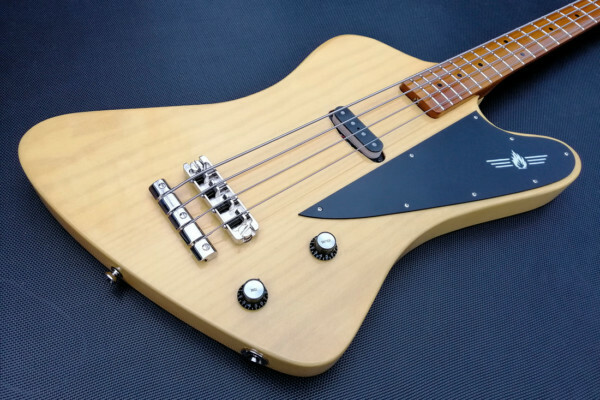 Other features include three-ply mint green pickguard, a pair of custom single-coil Jazz pickups, and a HiMass bridge with brass barrel saddles. 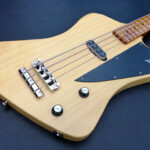 The Squier James Johnston Jazz Bass is expected to be shipping worldwide in early 2012 with an MSRP of $549.99. Street prices aren’t yet known. For more, visit the Squier website. Some time ago, I was in a music store just to poke around. Immediately behind me but out of line of sight I heard some real serious playing which had some tremendous sound. 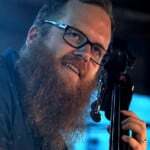 I went to look and saw a younger guy playing sort of a combination of Jaco licks but with some slapping in and out. The bass? A Squier Jazz. My point? People walk away from little gems because of what it says on the headstock. Immediate prejudice. Some believe that if it doesn’t say Gibson, Fender or whatever it ain’t worth it. Pick it up. Play it and be amazed at what some of these supposed ‘non-brand names’ can do. If you can play, stay in the pocket and say what you want to say with your hands, you’ll be amazed at the gems out there! I’d buy and play a Squier Jazz in a hot second. I know what this instrument can sound like. 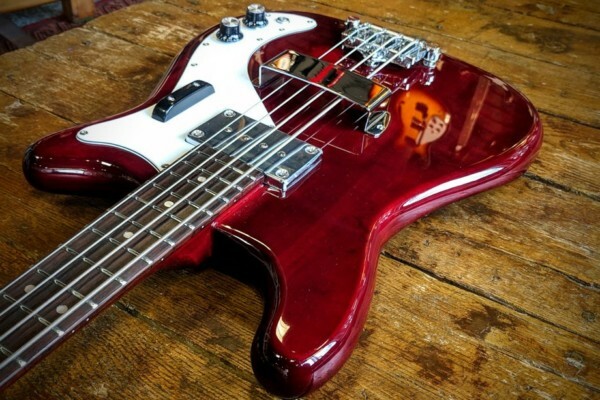 Back in 2012 I bought the Standard Fender Jazz bass MIM exactly like this Squire but a maple neck , it’s been a good bass but for the price the Squier looks better, I paid $599. I wish the fretboard was a little wider.